Detecting a laptop motherboard short circuit. The most common problems that arise when using laptops are power problems can be very frustrating especially when you really need to use the laptop and the power isn't flowing perfectly through device. This could be due to broken power jacks or a laptop short circuit motherboard. The latter is a more challenging problem since detecting the short circuit in the first place can be difficult. However, if you are familiar with the below ways of detecting short circuits, this shouldn't be a problem. This is the safest way of detecting a laptop short circuit motherboard, though it may require basic knowledge on how to use the multimeter. 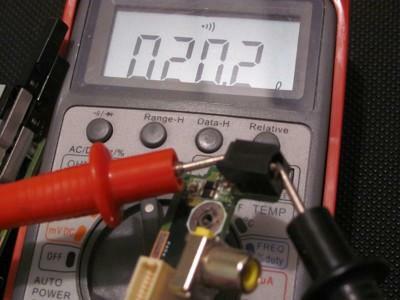 To detect a short circuit, you need to measure the resistance between the positive end of the power input and outer ground shell of the connector. If the ohmmeter gives a reading of anything less than 3 ohms, you are looking at a short circuit. This way is safe because you do not need to open up the laptop or come into any contact with its parts. 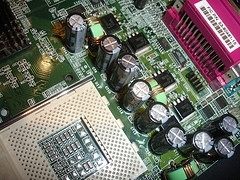 When a laptop motherboard circuit occurs, one component usually ends up taking all the heat energy produced. This causes localized heating that raises the temperature of the component. In such a case, you can detect the shorting by opening up the laptop. You do not need to touch the power components to know which one is hot as you might burn your finger. Simply use a freeze spray to spray the parts and it will indicate where the short circuit is. Another way to troubleshoot a laptop short circuit motherboard is to remove the battery, hard drive, DVD drive, USB devices and all removable peripherals and check if the computer still powers on. If it doesn't then you know what the issue is.